This title, first published in 1991, opens with an account by Gadamer of his own life and work and their relation to the achievements of hermeneutics. 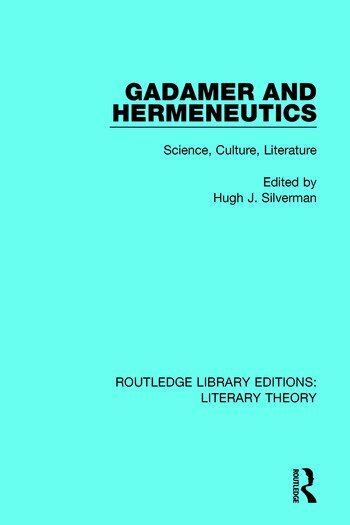 Building upon the key theme of dialogue, Gadamer and Hermeneutics provides a series of essays, either linked Gadamer to other major contemporary philosophers or focusing on a given Gadamerian theme. This book will be of interest to students of literary theory.